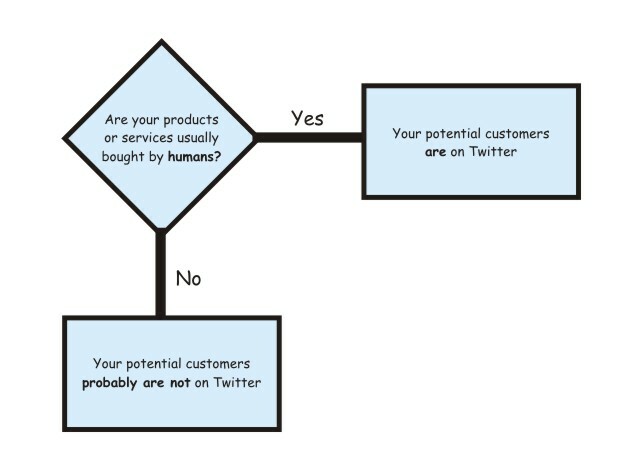 I’ve done some research, and considering the number of people currently using Twitter and diversity of industries and demographics they belong to, I came up with this extremely useful flowchart that you can use to determine if your targeted audience is using Twitter or not. It appears that if you sell products to extraterrestrials, the probability of finding your potential customers on Twitter decreases dramatically. I hope this helps you my respected colleagues.